The charming, colonial seaside city of Charleston has long been a popular weekend getaway for gay and lesbian couples. Even though the city isn't really known as a major gay nightclub destination, Charleston does have a couple of exceptionally attractive and nicely designed gay nightspots downtown, not to mention several restaurants, bars, and lounges with a modest gay following. It's definitely possible to have a great time dancing, watching drag cabaret, and mingling with locals and tourists in this sophisticated city with a metro population of about 375,000. 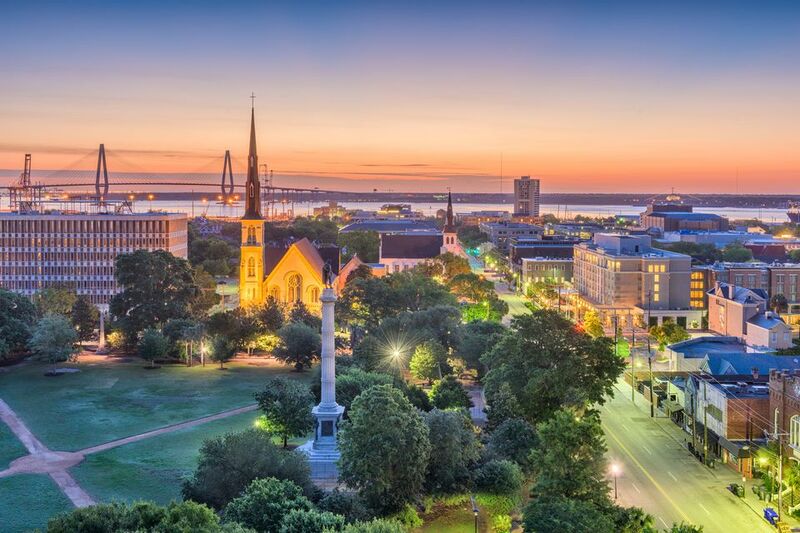 Whether you want to have a quiet drink or dinner with a few close friends or you're looking to dance the night away, Charleston has plenty to offer the LGBT community with its gay bars and overall nightlife scene. The premier downtown gay disco is Club Pantheon, a big and bustling high-energy dance space in Charleston's increasingly hipster-filled North King Street neighborhood. Located on the ground floor of a modern parking structure across from the Charleston Visitors Center, the club presents a roster of top-DJs and Charleston's best drag performers all three nights that it's open: Friday, Saturday, and Sunday. Less than 100 feet away, you'll find a far mellower but just as inviting gay bar that's open nightly. Dudley's is a swish little lounge with attractive bar tables and stools and a welcoming bar with video screens above it, and just off the main room is a separate area where you can shoot pool. At both Dudley's and Club Pantheon, the crowd tends to be a catch-all of gay Charleston life: women and men of all ages and races as well as quite a few straight customers. If neither of these suits your fancy, another laid-back neighborhood option is North Charleston's Deja Vu II. If you're looking for a cool place for cocktails or chilling with friends before dinner, keep in mind that Charleston has a wealth of urban restaurants with bars that are rich in the charm of history. One of the most popular of the bunch is Vickery's, which has closed its downtown Charleston location but still has a very fun space across the Cooper River in Mount Pleasant—this laid-back, casual restaurant serves tasty Cuban and Latin fare and has two more branches in Atlanta that are quite popular within the gay community. For sheer elegance, it's hard to top the posh lobby bar adjacent to Grill 225, inside the sumptuous and gay-friendly Market Pavilion Hotel. This ornate space is the perfect spot for a glass of wine or a martini, perhaps before you dine in the excellent restaurant or at one of the many other terrific eateries within a short walk. If the weather's nice, consider having cocktails up on the rooftop bar of the Market Pavilion, where you'll enjoy a panoramic view of the historic Charleston skyline.